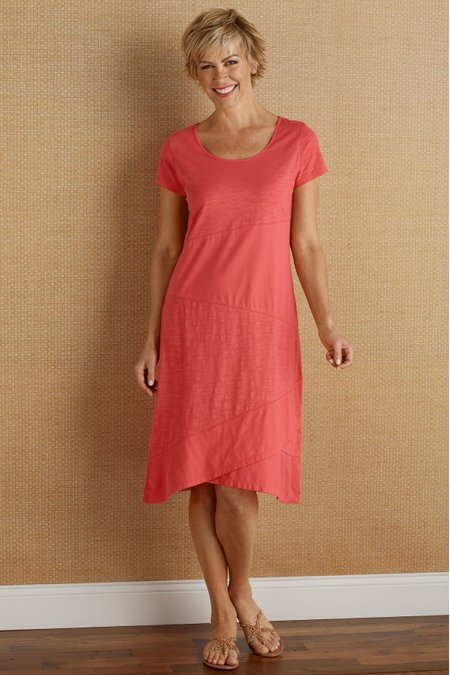 A fun and flirty frock with subtle keyhole back and contrasting jersey panels at waist and curved hemline. Easygoing straight fit, this short-sleeved, scoop neck number transitions flawlessly from day to night. Cotton. Misses 41"/43" long.